Welcome to the Eve Lom website (the "Site"). We will notify you by e-mail as soon as possible to acknowledge receipt of your order and to provide you with an order number. If we are unable to fulfil your order following this acknowledgement, we will contact you by e-mail or telephone advising you of this. We will confirm acceptance of your order by sending you an e-mail that confirms that the Products have been dispatched ("Dispatch Confirmation"). A legally binding contract between us will be formed when we send you the Dispatch Confirmation (or, in the unlikely event that a Dispatch Confirmation is not sent due to a processing error, when we dispatch the Products to you) ("Contract"). 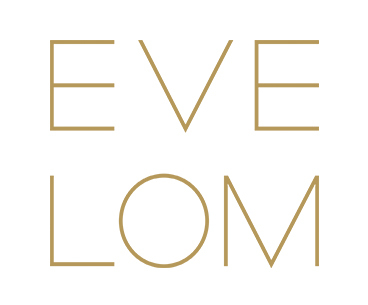 If you require any information concerning your order please e-mail us at on the “Contact Us” page on our website at www.evelom.com or call us on +44 208 7402076 during business hours, quoting your order number. We may not accept your order if a Product you have ordered is out of stock, if we have identified a Product or pricing error, or if we are unable to obtain authorisation for your payment. Please note that we reserve the right to reject any offer to purchase by you at any time. Deliveries can be made worldwide. As all our parcels require a signature upon delivery, we are unable to deliver to PO Box addresses. If you have a question about delivery we will advise you if you call our Customer Services team on +44 208 7402076 during business hours. Delivery within 2 - 4 working days. Order before 5pm, and receive your order the next working day. Order before 2pm, and receive your order on the morning of the next working day. Order before midday (Monday to Friday only) and receive your order by 6pm the same day. Only available for central London postcodes. Order before 2pm on the preceding Friday, and receive your order before 12pm the following Saturday. Enjoy complimentary gift wrap on every order. Deliveries can be made worldwide. If you have a question about delivery we will advise you if you call our Customer Services team on +44 (0) 20 8740 2076. Please note that working days exclude Saturdays, Sundays and English Bank holidays. Orders to one address may be delivered in one or more deliveries; however, you will incur only one delivery charge. If you have specified delivery to more than one address when placing your order, there is a separate charge for each destination address. EVE LOM will not deliver to PO Box addresses. Please be aware that deliveries outside of the UK maybe subject to customs, regulatory or legal restrictions. To comply with local legislation you or the shipping recipient may be required to pay additional taxes, fees or levies, import duty or formal customs entry may apply. We are unable to accept any responsibility for any charges incurred and are unable to offer any assistance or advice. We advise that you check with your local customs agent before placing an order. All our parcels require a signature upon delivery. In line with our new pricing policy prices may be displayed at a higher or lower price than previously stated. 14.3 To cancel a Contract, you just need to let us know that you have decided to cancel. The easiest way to do this is to complete the Cancellation Form which can be accessed by clicking here, or by e-mailing us through the “Contact Us” page on our website at www.evelom.com or calling us at +44 (0) 208 740 2076 during business hours, or by contacting our Customer Services team by post at: Space Brands, Customer Services, Unit 15 Telford Way, East Acton, London W3 7XS, United Kingdom. In any such e-mail or written communication, you must include details of your order, including your order number, to enable us to identify it. Your cancellation is effective from the date you send us the e-mail or post the letter to us. If you have any questions about these T&Cs or if you wish to contact us to complain about any matter in regard to the Products, please e-mail us through the “Contact Us” page on our website at www.evelom.com; call us on +44 208 7402076 or write to our Customer Services team by post at: Space Brands, Customer Services, Unit 15 Telford Way, East Acton, London W3 7XS, United Kingdom.